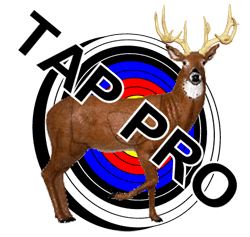 A critical component of shooting accuracy and proper archery form is shooting the proper draw length. Archers vary in size and so do their draw lengths. The best method available to find one’s draw length is the wingspan divided by 2.5 technique can be found by clicking here. This method only gives you a good starting point. Once you start shooting, you should be able to tell if your draw length needs to be adjusted longer or shorter for your best shooting form. If you have a bow that is not set at your draw length, you have to make some adjustments. 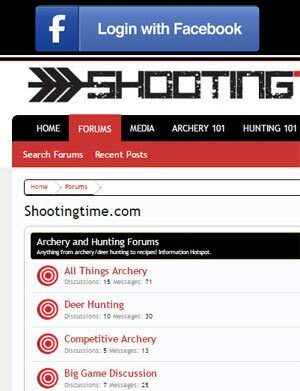 The following procedures are ways, depending on the compound bow, to adjust a compound bow’s draw length. Draw length specific cam bows use specific cams to deliver different draw lengths. In this case, the archer has to purchase the proper cam (alpha/numerically marked) and install the cam to change the draw length. 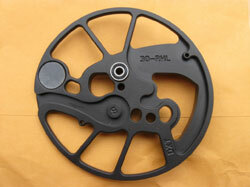 The changing out of a compound bow’s cam is complicated and requires the bow to be pressed. If not qualified to do such work, the archer should have this procedure done at their local pro shop. New cams retail anywhere from $70-$90 and are very common with Mathews bows. Adjustable cams allow the archer to adjust his or her draw length with the use of an hexagonal wrench without, in most cases, pressing the compound bow. Adjustable compound bow cams allow archers to adjust anywhere from 3 inches up to 13 inches depending on the compound bow. Adjustable cam systems are excellent for beginning archers who are unsure of their “golden draw length” and for archers who are still growing and will be increasing their draw length as they age. 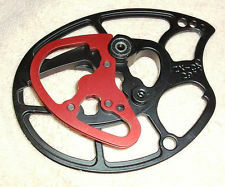 Post style adjustable cams allow draw length adjustment when the bow string’s end loop is placed over a different post. This image of a Mathews Max cam shows three posts labeled 1,2 and 3. After pressing the bow, the limp bowstring’s end loop can be moved to a different post to achieve a different setting. Modular Cams contain draw length specific modules that can be changed to accommodate archers of different size. The changing out of the modules usually requires a hexagonal wrench and can be done without pressing the compound bow. While certain companies will offer lifetime modules changes, most new modules have to be purchased. Average cost is $8 to $25. Modular cams are the most common cam on the market today.